Loads of vehicles, both new and slightly used. Staff was very knowledgeable about their products. Another great car buying experience, I have worked exclusively with Jeff Smith now for over 10 years. Efficient, professional, knowledgeable, and painless. It is what luxury car buying experiences should be. 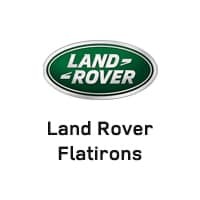 I have been working with Jeff Smith at Land Rover Flatirons for over 10 years. Each experience was efficient, professional, and painless, its what luxury car buying should be. Jeff and the rest of the Flatirons team are all Pros. I recently purchased a certified 2016 XF, from Bill Jacobs Jaguar Landrover in Hinsdale, IL and had it shipped to Colorado. I only had the car a month or so when the left rear tire blew out ($300). It was identified as a cracked RIM. When I went to have it repaired the 3rd party repair shop said the wheel was bent in 2 places and the crack was previously welded to the point it has compromised the integrity of the wheel and he cannot fix it because he cannot stand by it. When I let Peter Murray from the dealership know this he said he would look into this. After a few calls back and forth including a call from the GM of my local Colorado Jaguar dealership agreeing they sold me a car with a bent wheel, Peter told me his GM, Pat McGowan believes, I damaged the wheel and he would not stand by the certification. I asked him to have Pat please call me. A week has gone by and no one has called. I do not recommend this dealership. Ed Dobbs and the Jaguar LandRover Flatirons dealership in Broomfield, CO agreed to cover the cost of the new wheel I purchased ($1k) even though I did not buy the car from them. Ed is a stand up guy and did the right thing even though it was not his problem. Thanks Ed. I just wish I purchased the car from you in the first place. purchased ($1k) even though I did not buy the car from them. I recently purchased a certified 2016 XF, from Bill Jacobs Jaguar Landrover in Hinsdale, IL and had it shipped to Colorado. I only had the car a month or so when the left rear tire blew out ($300). It was identified as a cracked RIM. When I went to have it repaired the 3rd party repair shop said the wheel was bent in 2 places and the crack was previously welded to the point it has compromised the integrity of the wheel and he cannot fix it because he cannot stand by it. When I let Peter Murray from the dealership know this he said he would look into this. After a few calls back and forth including a call from the GM of my local Colorado Jaguar dealership agreeing they sold me a car with a bent wheel, Peter told me his GM, Pat McGowan believes, I damaged the wheel and he would not stand by the certification. I asked him to have Pat please call me. A week has gone by and no one has called. I do not recommend this dealership. Ed Dobbs and the Jaguar LandRover Flatirons dealership in Broomfield, CO agreed to cover the cost of the new wheel I purchased ($1k) even though I did not buy the car from them. Ed is a stand up guy and did the right thing even though it was not his problem. Thanks Ed. I just wish I purchased the car from you in the first place. We had an amazing experience purchasing our new E-Pace S 250 AWD from Mario and the Team. Great price, great service and a very easy end to end process. I recently just received service for my 2018 Range Rover and Paul Gifford was my service advisor. He was very easy to work with and I enjoyed the great environment and the upscale dealership. There coffee bar was very nice and clean. I really enjoyed there waiting lounge and I felt just at home. The warm smiles from the sales team also made me feel welcome. Having had experience at both Land Rover dealers in the Denver area, I believe the service department (and parts counter) at Flatirons is *much* better than South Denver. Kudos to Brian at the service desk for his expert help and timely follow through!